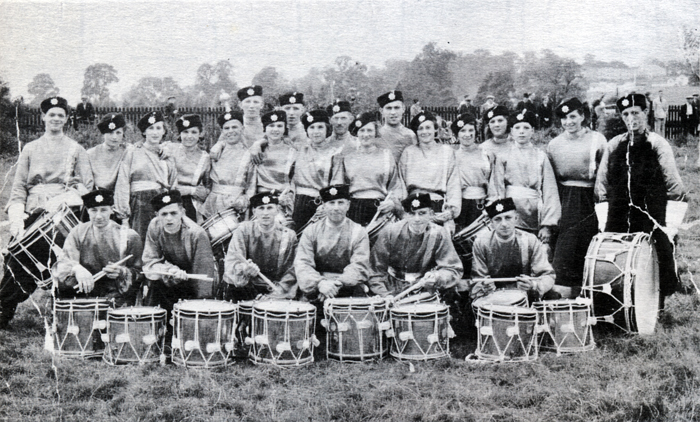 The Drum Section of the Dunkirk Cossacks Carnival Band in 1936. That year's Lenton Flower Show was the band's first public appearance. This newspaper image was taken from the Nottingham Journal Monday September 7th 1936. 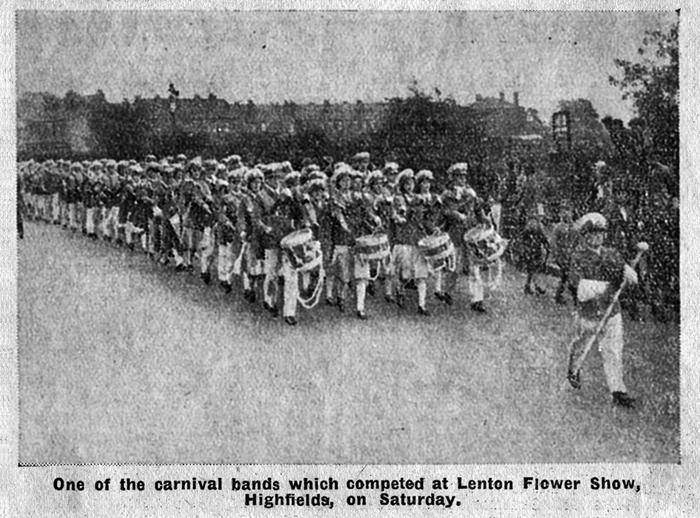 It shows one of the marching bands appearing at that year''s Lenton Flower Show making its way along Abbey Street as the band heads for Highfields Park where the show was located. In the background to the photograph are the backs of the houses on Warwick Street. 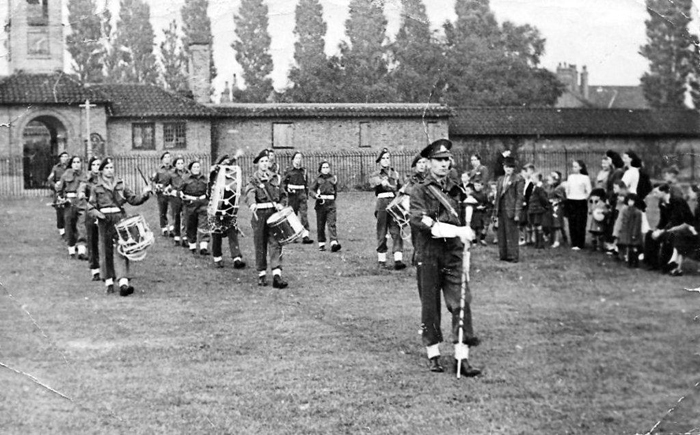 Pat Ashley provided this photograph of a marching band performing at the Lenton Flower Show c. 1950. She was unable to provide the name of the band but identified the drum mjaor as Cyril Reed and the drummer on the right of the first row as John Cowley. 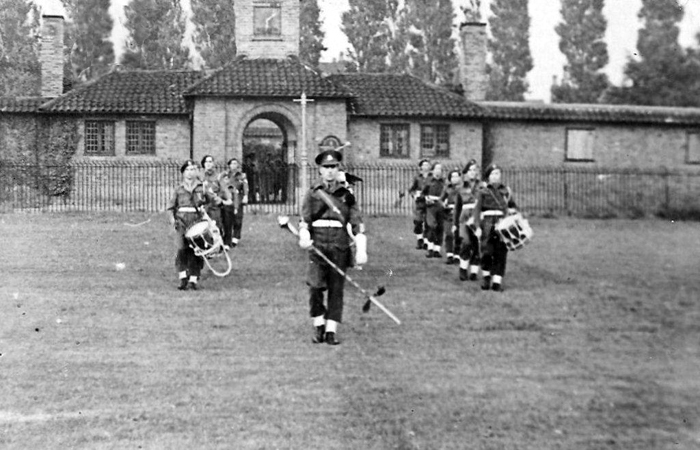 Pat Ashley provided this second photograph of a marching band performing at the Lenton Flower Show c. 1950. In the background is Highfields Lido.